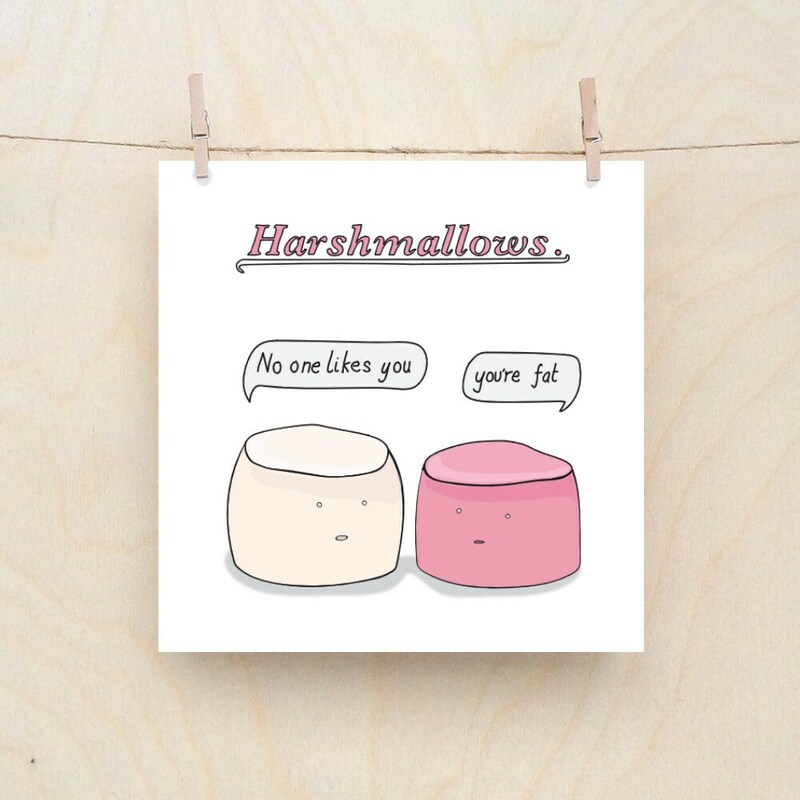 Mean marshmallows, Bad pun cards. This card is 145mm x145mm and is printed on a lovely slightly textured 300gsm card. Ooh and it's got a lovely brown kraft envelope too so it looks all nice.